I get to the point that my SD Card becomes maxed out, and I have to go through it and clear it out. At times I find pictures of food that I haven’t posted for you yet. This would be the case. I had a ton of Peach recipes up recently after receiving a huge amount of Peaches from a friend, and I completely forgot to mention this recipe for you. On top of that, this recipe features a REALLY awesome product as well! If you have been keeping up with my blog, you know that I grew Cilantro this year. It bolted too fast, and I didn’t get too much product out of it. I was quite disappointed to say the least. The last trip Mom and I made to Trader Joes though, made it all better! 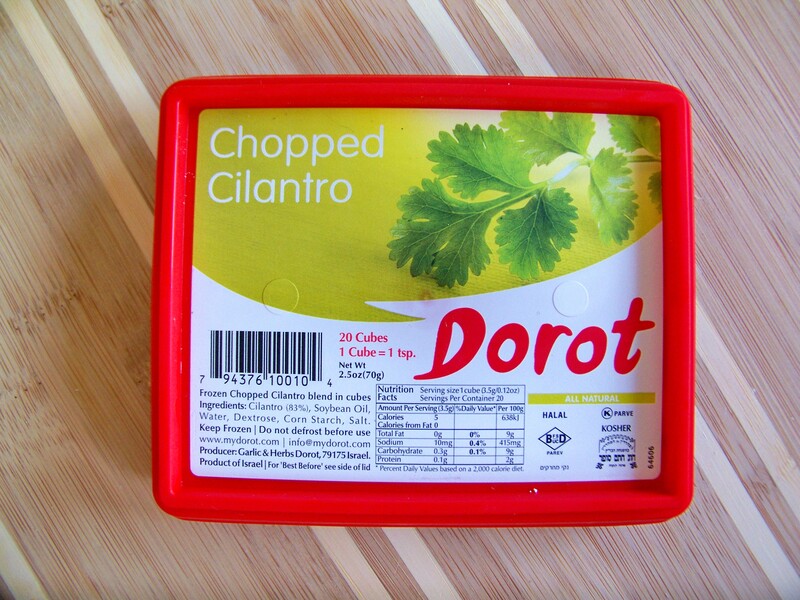 I found a product by the company Dorot. It’s an Israeli company, and their slogan is “Pop in flavor”. You LITERALLY pop it in! They are little frozen cubes of herbs. Their line-up, according to their site, features Crushed Garlic, Chopped Basil, Chopped Parsley, Chopped Cilantro, Crushed Ginger, Chopped Dill, and Chopped Chili. I bought the Chopped Cilantro at Trader Joes and used it for this Salsa recipe. It worked out perfectly! If you find their products, I highly recommend them. Super simple to use, and super fresh herbs! I just keep it in my freezer until I’m ready to use a cube. 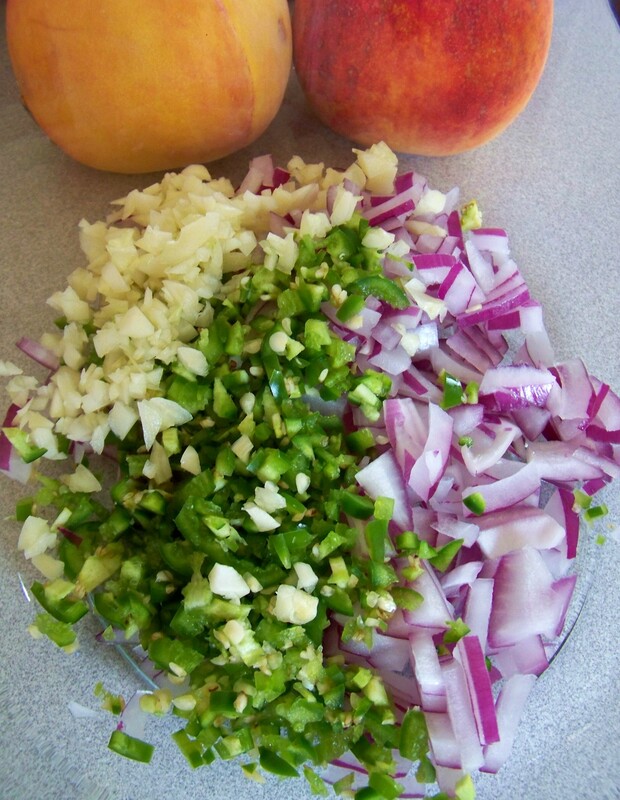 Enjoy this Peach Salsa recipe…I like to keep my salsas simple, so I didn’t include much seasonings other than the actual veggie, fruit, and herbs in the recipe. Mix ingredients together. You can either let it sit, or eat it fresh. I enjoyed it freshly made personally. Next Post Will Cook for Foo–Week 6 Who is your hero? Very, very healthy, and it’s even outright vegan now that I think about it, wow. Makes you want to make some with your Peach supply, doesn’t it?